Disclosure: I received something of value from The Palace. Full policy here. The iconic Harlem Globetrotters are bringing their unrivaled family show, featuring some of the greatest athletes on the planet, to The Palace of Auburn Hills on Friday, January 2, 2015 at 2 p.m.
Tickets are $42.50 VIP, $27.50 reserved, and $18 general admission and four-packs at $135 VIP, $90 reserved, and $55 general admission are on sale now at Palacenet.com, The Palace Ticket Store, and all Ticketmaster locations, including The Locker Room Store at Great Lakes Crossing. Tickets may be also charged by phone to American Express, Discover, Visa and MasterCard by calling 800.745.3000. Front Row and Courtside seating is also available. 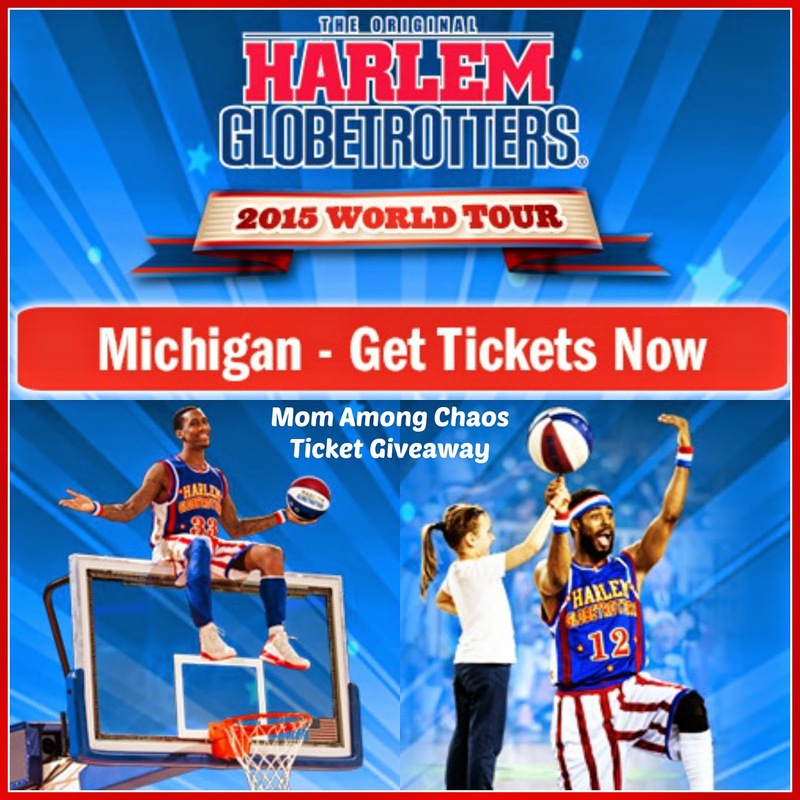 Information on group and scout tickets can be found at harlemglobetrotters.com. Watch more Globetrotter videos HERE. 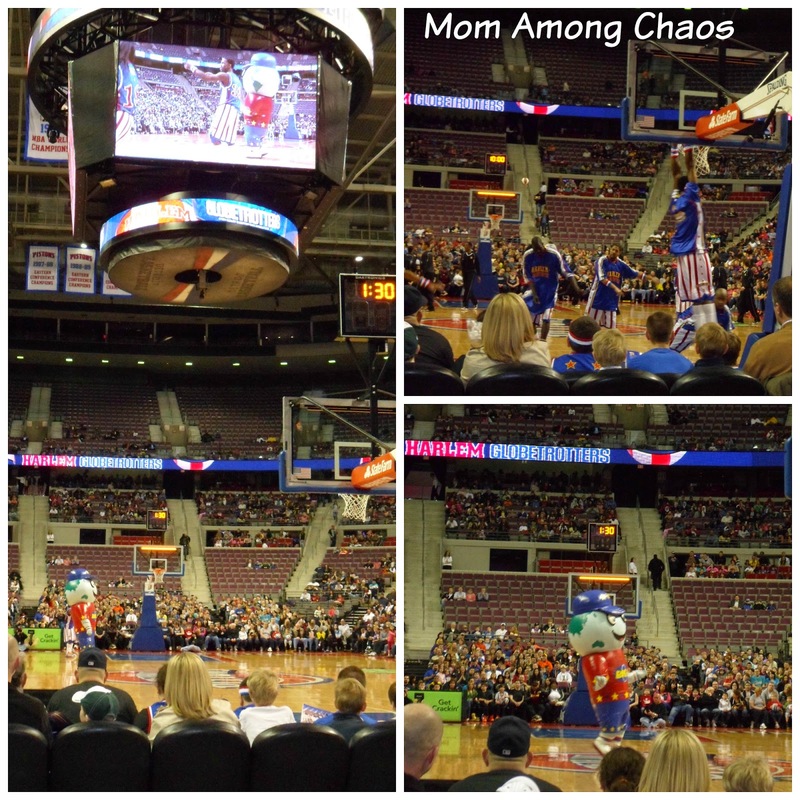 Have you ever been to a Harlem Globetrotters game? Mom Among Chaos has your chance to win a family 4 pack of tickets. Enter in the form below. Ends 12/26/14.